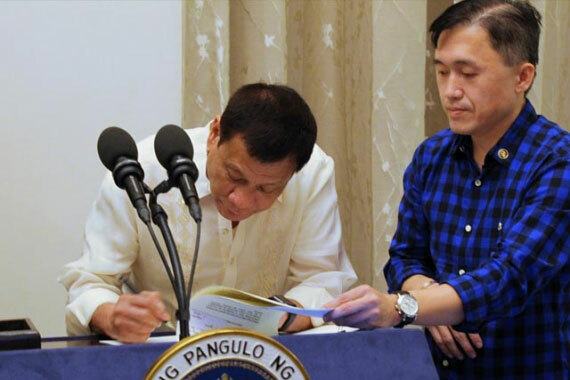 MANILA, Philippines – Saying that public health takes precedence over commercial or business interests, President Duterte has signed Executive Order No. 26, which imposes a nationwide ban on smoking in public places. The President signed the order on May 16, Executive Secretary Salvador Medialdea said yesterday. EO 26 will take effect 60 days after publication in a national newspaper. Duterte also ordered the creation of a smoke-free task force in all cities and municipalities to help carry out the provisions of the order. Members of the Philippine National Police and the task force are directed to carry out the EO’s provisions, including the apprehension of violators and the institution of criminal proceedings. Duterte also directed the budget department to provide funding for the operations of the task force. It cited that scientific evidence has unequivocally established that tobacco consumption and exposure to cigarette smoke cause death, disease and disability; impair health and lead to social, economic and environmental consequences; and place burdens on families, on the poor, and on national and local health systems. 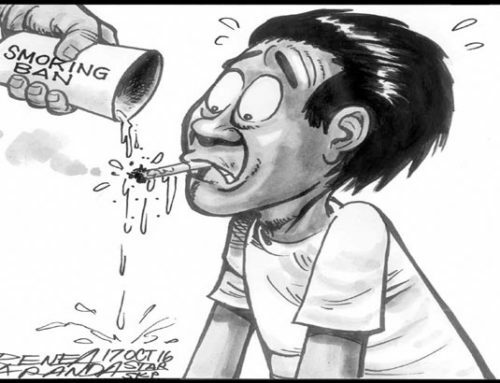 In the eight-page order, the Palace also noted that an increasing number of Filipinos become afflicted with and die each year of tobacco-related diseases such as stroke, heart disease, emphysema, various cancers and nicotine addiction. It added that the public and workers in places where smoking is allowed are most at risk from these and other tobacco-related disease. The Philippines also aims to abide by the World Health Organization Framework Convention on Tobacco Control to which it is a party, and thus give priority to the right to protect public health and promote measures of tobacco control. The smoking ban is imposed in all enclosed public places and public conveyances, whether stationary or in motion, unless identified as designated smoking areas. It prohibits persons-in-charge from allowing, abetting or tolerating smoking in places enumerated in the preceding paragraph, outside of designated smoking areas. It also bans any person from selling, distributing or purchasing tobacco products to and from minors. It shall not be a defense for the person selling or distributing that he/she did not know or was not aware of the real age of minor. Neither shall it be a defense that he/she did not know nor had any reason to believe that the cigarette or any other tobacco product was for the consumption of the minor to whom it was sold. 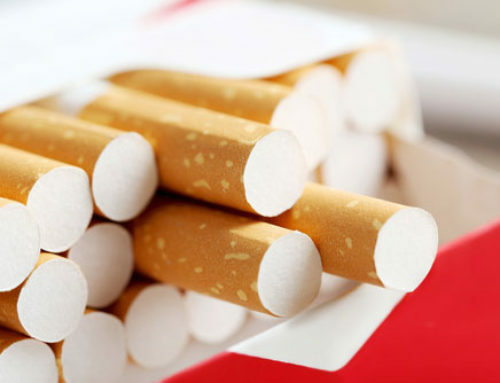 It also bans minors from smoking or buying cigarettes or any other tobacco products. Selling or distributing tobacco in a school, public playground, youth hostels and recreational facilities for minors, including those frequented by minors, or within 100 meters from any point of the perimeter of these places. To curb the rising number of young smokers in the country, a group of medical experts yesterday encouraged lawmakers to craft a law that would increase the minimum legal age of smoking from 18 to 21 years old. Gian Carlo Arandia, Manila Med pulmonologist, said raising the legal age for smoking would help limit access to tobacco products and eventually reduce the number of young smokers. “The key to stopping young people from smoking is by reducing their accessibility to tobacco aside from increasing the prices,” Arandia disclosed. He cited studies that showed there are Filipino children below 15 years who are already smoking cigarettes and that this number continues to grow. According to these studies, 8.9 percent of students aged 11 to 15 years are smoking cigarettes and 7.3 percent use some forms of tobacco. Other studies indicate that two in five students are exposed to secondhand smoke while three in five students are exposed to smoking outside their homes. Children who are exposed to smoking, Arandia said, are at higher risk of acquiring respiratory diseases such as pneumonia, tuberculosis and cancer. By limiting young people’s access to tobacco products, he argued that they would be discouraged from using tobacco products and curb chances of their acquiring smoking-related diseases. Arandia explained that people who start smoking later in life – as compared to those who started when they were 15 or 17 – are less likely to get hooked as they would be more educated and know better than to develop the habit.